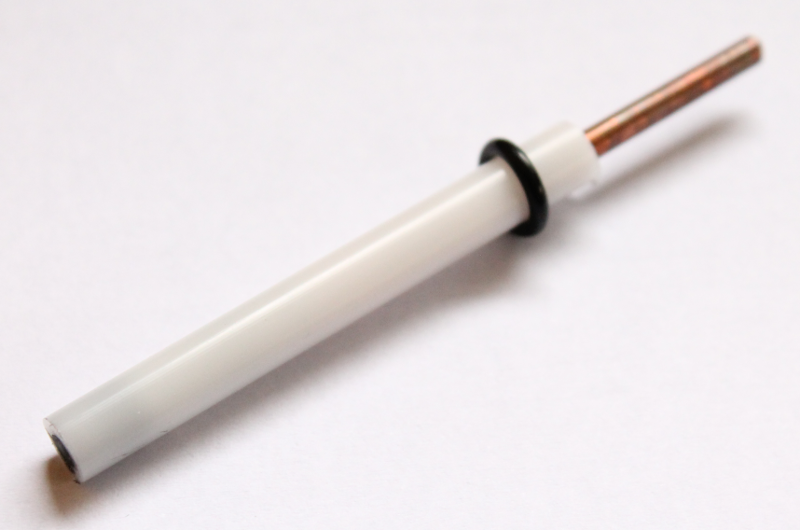 In this blog post we describe making a reusable carbon paste electrode holder. We are interested in making modified carbon paste electrodes (CPE) for different electrochemistry experiments, for example bismuth-modified CPE for metal measurements. The first step was to make an unmodified carbon electrode, which we describe here. While there are commercial CPE holders available online, we decided to make our own. The cost for materials to make the holder is approx. $10. From these materials (listed below) you can make several reusable CPE holders. 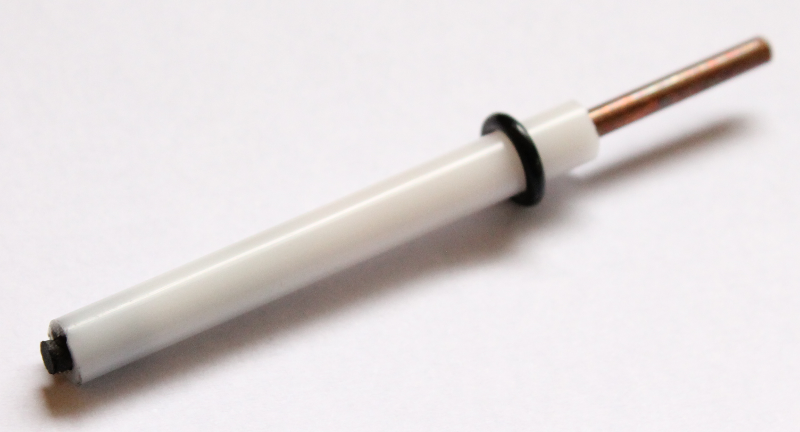 We chose a delrin tube with a 3 mm inner diameter for the holder and a copper rod for compressing and manipulating the paste in the holder and for connecting to the potentiostat. The O-ring is for mounting the CPE in the electrochemical cell. 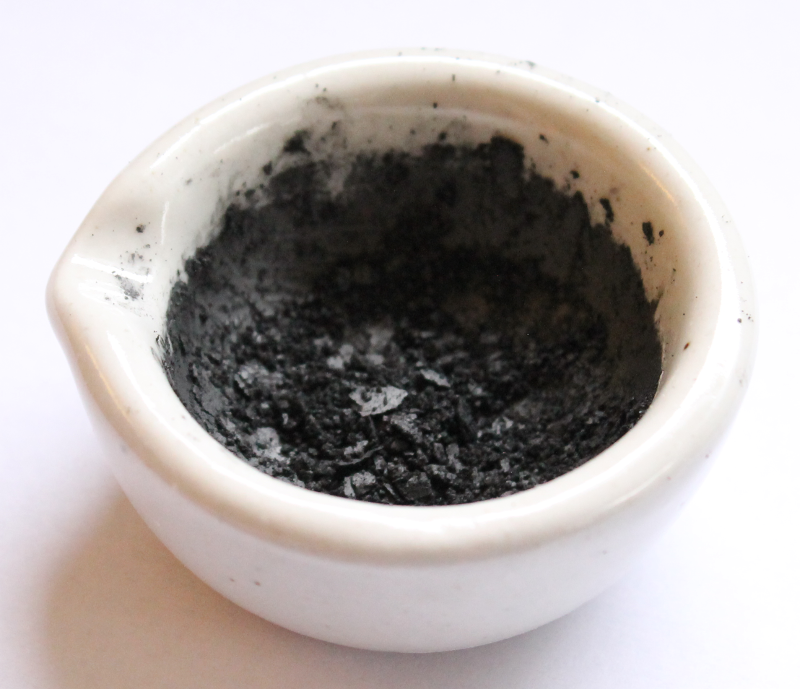 These materials are used for making an unmodified carbon and mineral oil paste. The first step was to cut the Delrin and copper materials to length. Delrin was cut to 2.25" long and the copper rod to 3" long. As the copper rod is slightly wider than the inner diameter of the delrin tube, (i.e. too wide to fit into the delrin tube), the next step was to machine some material from the inside of the tube to make it wide enough for the copper tube. We did not want to drill the whole tube as we need to leave material on one end for tapping (next step). We drilled approx. 1.5" using a drill press. Now the copper rod can fit into this end of the tube easily. The final step was to use a tap and die to thread the two materials. Outer 6-32 threads were cut into approx. 0.9" on one end of the copper rod using a 6-32 die (e.g. McMaster-Carr, part #2576A141). Inner 6-32 threads were cut into approx 0.75" on one end of the delrin tube using a 6-32 tap (McMaster-Carr, part # 2522A667). Once the CPE holder was ready to use, we made a 70:30 carbon-mineral oil paste to put into the holder for testing. Weigh out 0.7 g of graphite powder and place in mortar. Add 0.3 g of mineral oil (approx. 0.35 mL). Mix for at least 5 mins to make the paste. Using a small plastic spatula, transfer the paste to the holder. The copper rod should already be inserted into the tube. Once filled, hold the end against a piece of paper and turn the copper tube until the paste is compressed. Optional: Turn the copper rod to extrude a few millimeters of carbon paste as shown in the image below. Scrape off this excess material and polish against a piece of paper. The electrode is now ready to use. 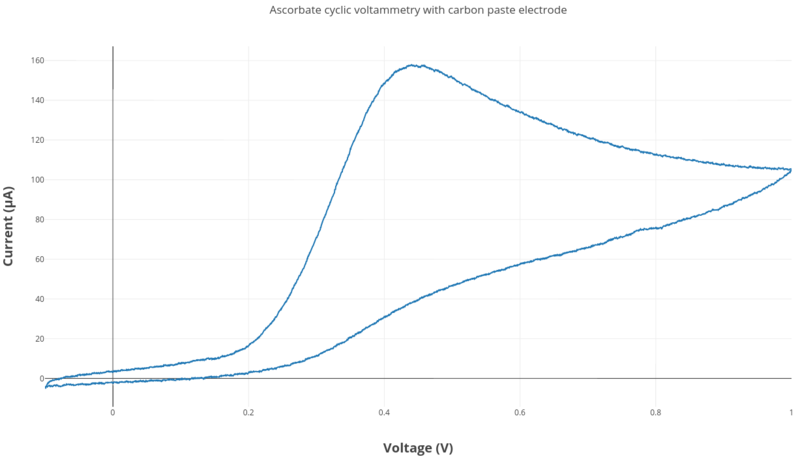 An ascorbate cyclic voltammetry experiment was run using the same experimental setup described in this blog post. The carbon paste electrode was used along with a Ag/AgCl reference electrode and a platinum wire counter electrode. The carbon paste electrode worked really well in this first test ascorbate CV experiment. 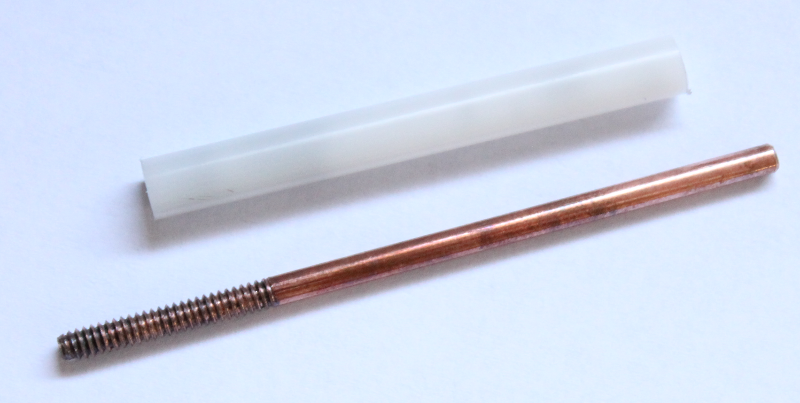 It is a pretty affordable method for making electrodes which we can easily modify. The next experiment we want to try is adding bismuth to the carbon paste mixture and testing for metal detection.